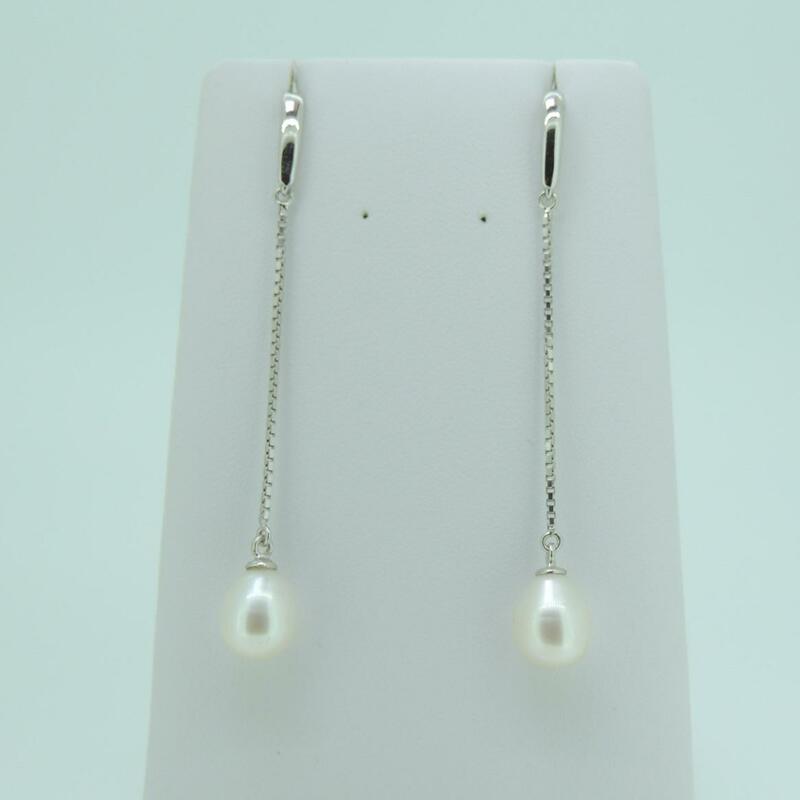 If you are looking for some affordable and fun pearl earrings, you can’t do better than these cultured freshwater 8-8.5 mm white drop AAA pearl hook wire long earrings on sterling silver box chain. 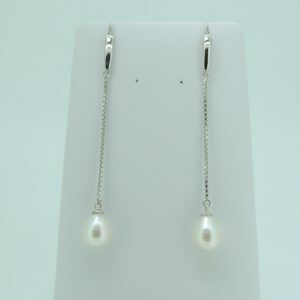 The total length of the earring is over 2 inches which gives them real swing and movement and this together with the classic beauty of a pearl makes them great for day or evening. Worn with short hair or longer hair worn off the face, they give some real vivacity to the look and will attract a lot of attention – great for parties.